Need fresh, new workout ideas? This free email series will help! 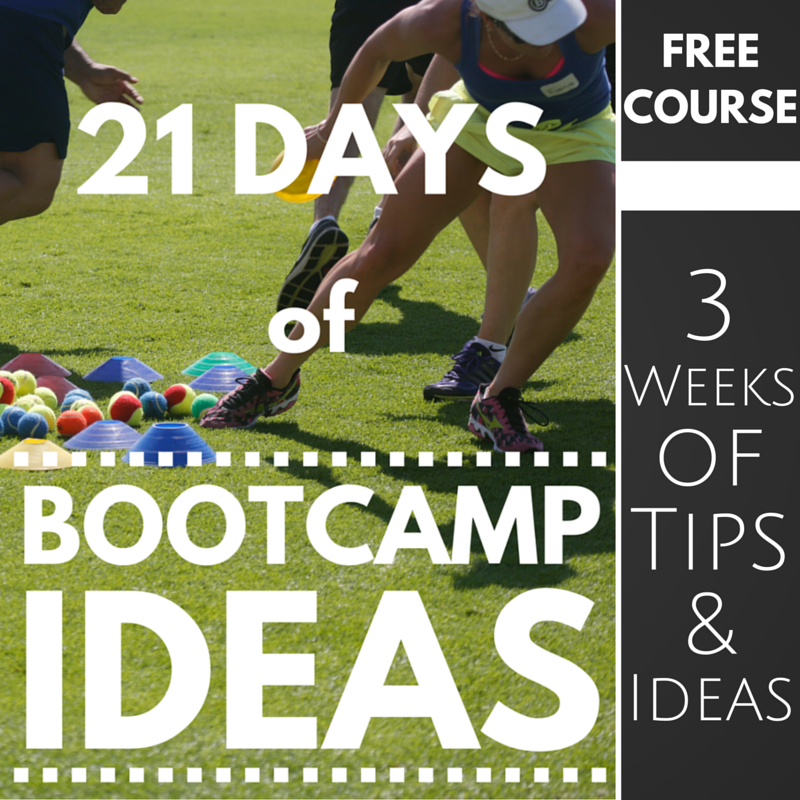 Three weeks of fresh ideas, tips and training. Having great workouts and lots of variety was one of the major reasons that clients kept signing up for my bootcamps. And I know that’s true for your bootcamp too. Spending hours building websites, creating Facebook ads, dropping fliers in letterboxes and running referral programs is a complete waste of time if your actual workouts are no good in the first place. That’s why I want to bring you guys something new that will give you access to more fresh workout ideas. It's completely free, this is my gift to help you make the group fitness sessions that you want to run. After completing the 21 day course you will continue to get free updates via our weekly newsletter. Great! Check your inbox to confirm your email and I'll send you the first email!